Carol G. Richardson, 84, of Flora, passed away on Saturday, August 18, 2018, at her home. She was born July 15, 1934, in Kokomo, to the late Arlie D. Flora and Anna Marie Mocherman Flora Myer. Her second father that helped raise her, Othel Morris Myer, preceded her in death as well. On April 4, 1952, Carol married Byrd Richardson; he survives. In 1952, Carol graduated from Flora High School. She was a homemaker and had previously worked at the Brethren Home for 13 years and Carroll County Garage for 11 years. 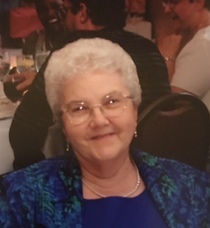 Carol was a member of Church of the Brethren in Flora where she sang in the choir; Carol also enjoyed singing in nursing homes, crocheting, and being outdoors. In addition to her husband, Carol is survived by her children, Timothy Alan (Galina) Richardson, of California, Steven Lyle (Leslie) Richardson, of Fort Wayne, Jeffrey Brian (Carla) Richardson, of Bringhurst, Rhonda Kay Cowell, of Honduros, Karen Lynn (Bob) Francis, of Logansport, Patricia Dawn Vibbert, of Lafayette, and Charisse Nicole (Chris) Robertson, of Lafayette; 27 grandchildren, and 35 great-grandchildren and 6 great-great grandchildren. Visitation will be held Thursday, August 23, 2018 from 1pm until the time of the service at 3pm at Living Faith Church of the Brethren. Pastor Larry DeVos will officiate. Burial will follow at Zion Citizen Cemetery. 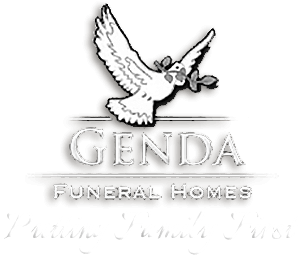 Arrangements are with Genda Funeral Home Reinke Chapel.